LOVE all the songs of stage musicals but can’t be bothered to sit through the thinly-veiled plotlines? Well, G Live has the ideal show for you – The West End Experience. The show will be jam-packed with hit songs from Chicago, Phantom of the Opera, Les Misérables, Grease, Mamma Mia, We Will Rock You, The Lion King, Wicked and more, with none of the annoying dialogue. Asa Elliott from ITV’s Benidorm will lead the cast of performers, who have all appeared in London’s West End. 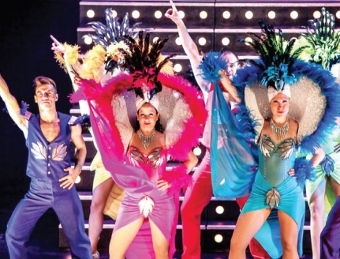 The production also promises more than 140 stunning costumes, a live band and top-notch choreography on its way through a whistle-stop tour of musical theatre’s greatest hits. THE West End Experience will be at G Live in Guildford on Thursday, September 18.